Fortis Watches, official timepiece supplier of the Russian Space Program, takes pleasure in creating a watch for the anniversary of one the most exciting events in the history of human space travel when on April 12th 1961, Russian pilot Yuri Alekseyevitch Gagarin became the first human being to go up into space. To celebrate the 50th anniversary of this historical event, Fortis is launching the Limited Edition Yuri Gagarin GMT, limited to 300 pieces and displaying a portrait of Yuri Gagarin on the watch case back. About half of the edition will be presented as an official gift from the Federal Space Agency Roscosmos to its special friends and partners, while half will be available in stores worldwide beginning May 2011 for enjoyment by space enthusiasts. Additionally, Fortis has been formally renamed the official timepiece supplier of the Federal Space Agency and the Star City Cosmonauts Training Center in Moscow. Three new members of the International Space Station Crew 27 began a mission to the ISS on April 4th for a Yuri Gagarin memorial flight, a journey took 2 days before docking at the ISS. 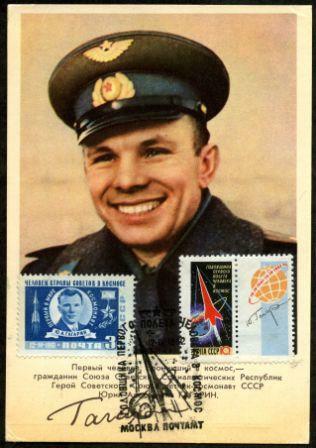 The longer journey that Yuri Alexeyevitch Gagarin started back in 1961 still continues to this day.